It’s March 15 — so we’re in the week marking the anniversary of the election of Pope Francis. The interview the Holy Father conducted recently is a topic for discussion, along with the latest statistics on Catholics in New Zealand — nominal and practising — and the promotion of Cardinal George Pell to head the Vatican’s new economic secretariat.  James, Helen and Gavin also talk about a small New Zealand town fighting the departure of a group of religious sisters, as well as the drinking habits of those who live at the Vatican. Thanks for listening; tell your friends. We burst into the new year with the great news that Pope Francis, who was apparently a real drawcard in his first 10 months as leader of the world’s Catholics, will make a trip to the Holy Land and Jordan this year in the latest peace mission from a Pope. James, Lucy, Don and Gavin also talk about Catholic education — who it’s for and who it should be for — as well as the 6.6 million people who attended papal events since Pope Francis’s election, the expulsion of a priest from the Jesuits and the latest round of secularist antagonism, this time against the Ten Commandments. All in a busy episode of The 15th Station. It’s hard to believe that it’s six years since The 15th Station sprung into life in a small office in Auckland, but the crew invites SQPN legend Steve Nelson into Rendition Studios to share in the birthday celebration. The remarkable events of World Youth Day in Rio, and the subsequent unremarkable comments on the flight back that generated headlines around the world, dominate this month’s episode. James, Don, Shannon, Steve and Gavin also talk about Lumen Fidei, the joint Francis/Benedict encyclical, a doctor who has an interesting philosophy on prescribing contraceptives and the impending canonisation of Popes John Paul II and John XXIII. Even the light story has an unusually serious discussion. Thanks for listening to this episode, and any of the other 70 shows in this podcast and however many of the other shows in the network. You guys are great. 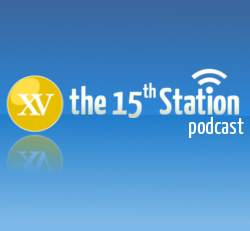 With the panel down on numbers and an early recording date, it’s a more concise episode of The 15th Station this month as James and Gavin discuss some of the big stories of the month, including Pope Francis’s desire for bishops to be more pastor than prince, the idea of the Church reclaiming the word “matrimony” as marriage is redefined in various jurisdictions and we take a look at the first meeting of arguably the two most important Christian leaders in the world — Pope Francis and the Archbishop of Canterbury. We said “arguably”. Other big stories from the month, including the upcoming canonisations and the new encyclical, will feature in next month’s podcast.